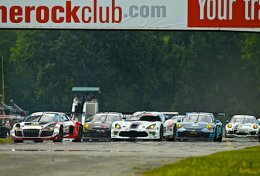 2016’s IMSA WeatherTech SportsCar Championship Northeast Grand Prix at Lime Rock Park is going to be terrific. Instead of two WeatherTech SportsCar classes, there will be three – including what many consider the most exciting IMSA divisions, GT Le Mans (GTLM) and GT Daytona (GTD). The Northeast Grand Prix starting field will be the very exciting mix of Prototype Challenge (PC), GTLM and GTD! Particularly exciting with regard to GTLM is how everyone’s buzzing about Ford’s return to GT racing with its stunning new Ford GT. 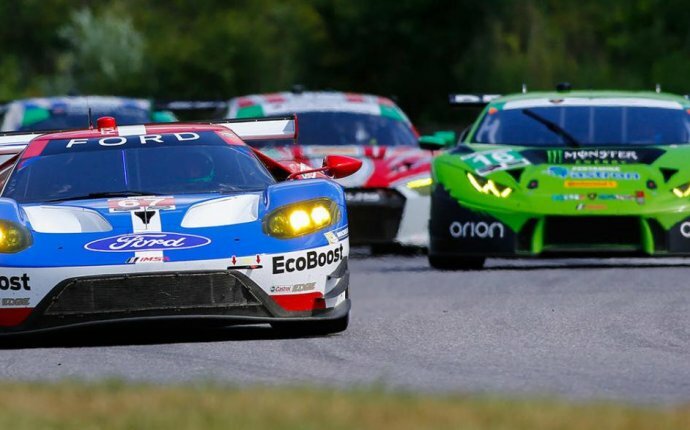 The new Ford will run the full 2016 schedules of both the FIA World Endurance Championship and the WeatherTech SportsCar Championship, operated by Chip Ganassi Racing. The Ford GT will be going up against the other GTLMs that include: Chevy Corvette C7.R, BMW M6 GTLM, Ferrari 488 GTE and Porsche 911 RSR. And GTD will also be new for 2016, thanks to the reconciling of international GT3 rules with GTD rules. In the field are the Lamborghini Huracán GT3, Audi R8 GT3 and LMS Ultra, Ferrari 488 (and some 458s), BMW M6 GT3 and Aston Martin Vantage GT3. In short, both the GTLM and GTD classes at Lime Rock this year will be tremendously exciting racing. PLUS, the Continental Tire SportsCar Challenge is here for the weekend, with a big Grand Sport and Street Tuner race! The Grand Sport class has the race-prepped muscle and super cars; Mustangs, Camaros, Aston Martin, BMW Ms, Porsche 911s and more. Street Tuner is where you see the smaller Audis, BMWs Miatas, Minis and Mazdas banging fenders for bragging rights. Plus, there will be two Spec Miata races, one on Friday and the other on Saturday, sanctioned by the Lime Rock Drivers Club.